Yesterday, I had a day out. It all started with a bath on Thursday. I behaved pretty badly, all things considered, because it did not suit me, at that moment, to have my feet scrubbed. However, by yesterday morning I had thought it through. 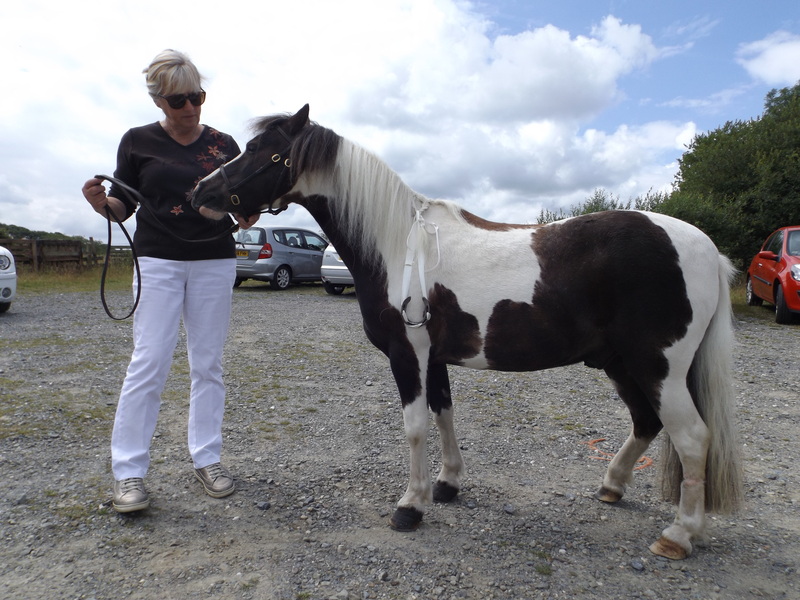 A bath usually means a trip out somewhere – and I am a very sociable pony. There was a bit more polishing when I came in from the field yesterday morning, then it was best hat on and off for a walk up the lane. What? No trailer? 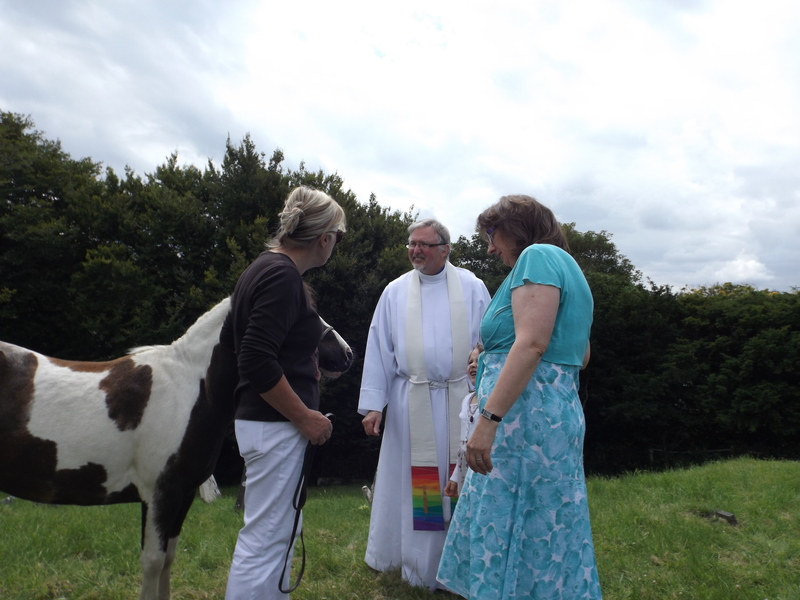 We arrived at the church car park, to meet some very nice people, who gave me a soft mint, which is STILL stuck around my teeth today. They were in charge of some very smart cars with ribbons. It was then that unfamiliar things began to happen. 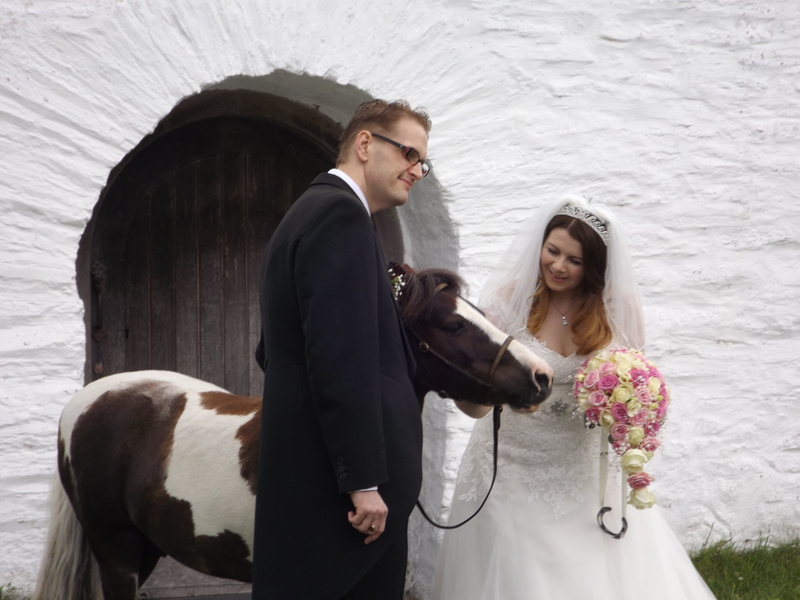 She worked a double plait into my mane and hung one of my shoes, all polished up on a pretty ribbon, in the plait. I felt a bit girlie I can tell you, but whatever! They kept telling me I was good, so I went along with it. 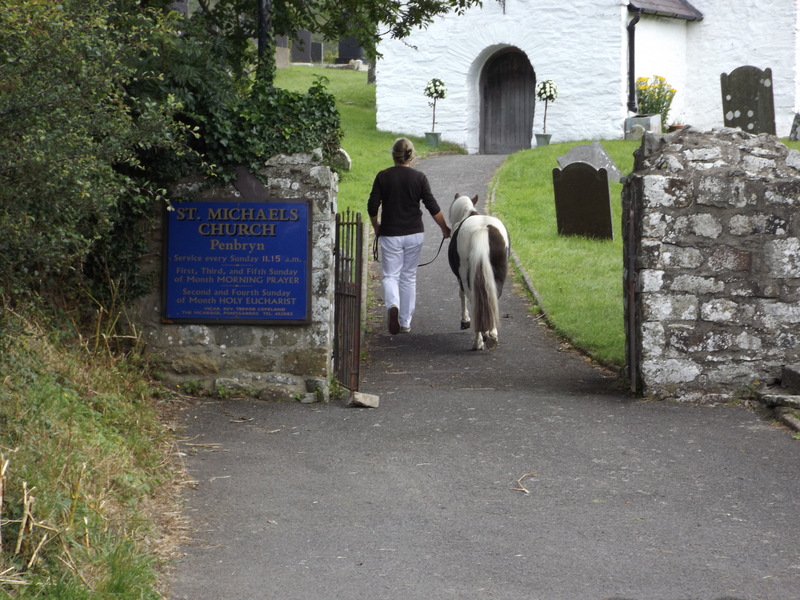 Then we continued down the road into the church yard. I liked it in there! 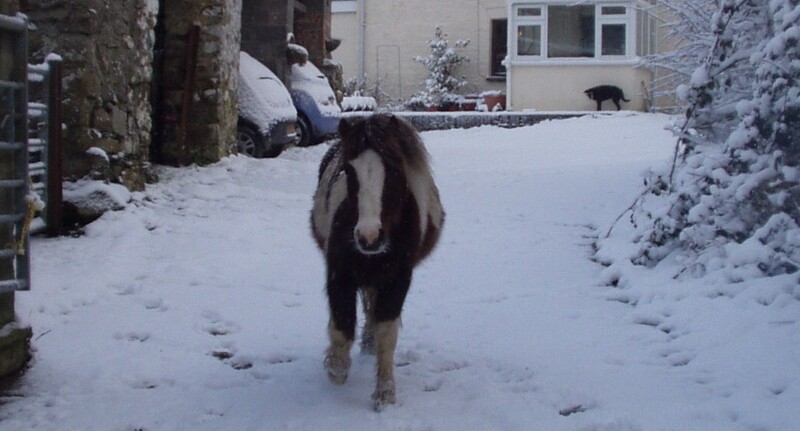 There was plenty of grass for me to eat and some flowers which I wasn’t allowed to eat. After a bit of muffled music and some shouting, some people came out of the door. It turned out to be my friend Jane and her new husband Dave! They had got married! And my shoe was a good luck token for them. Hope she didn’t break a fingernail! Naturally I stayed a while longer so that my many fans could say hello and I could get some more grass. 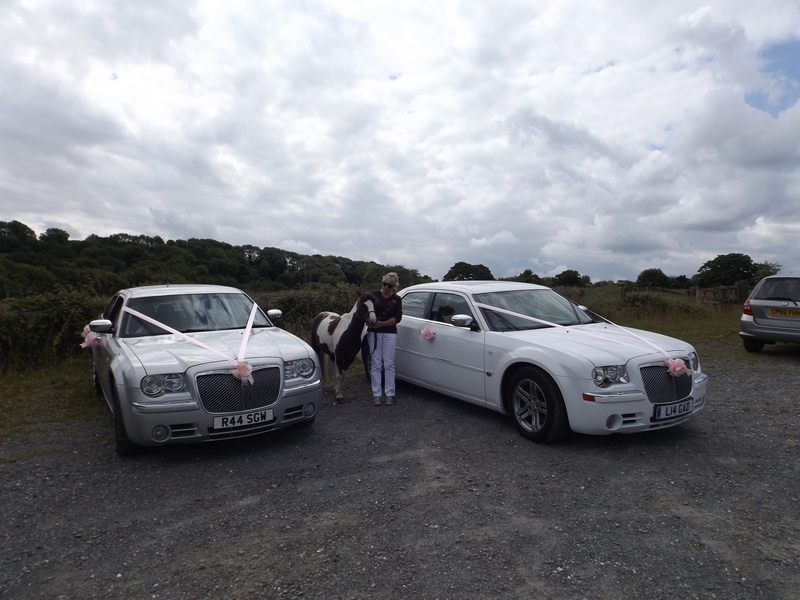 I also had a very important official photo-call with the bride and groom (he wasn’t really dressed like any other groom I’ve met and he didn’t have a brush). After a while, the people all got in their cars and went off up the road. I said thank you to the vicar and his family for allowing me to attend. 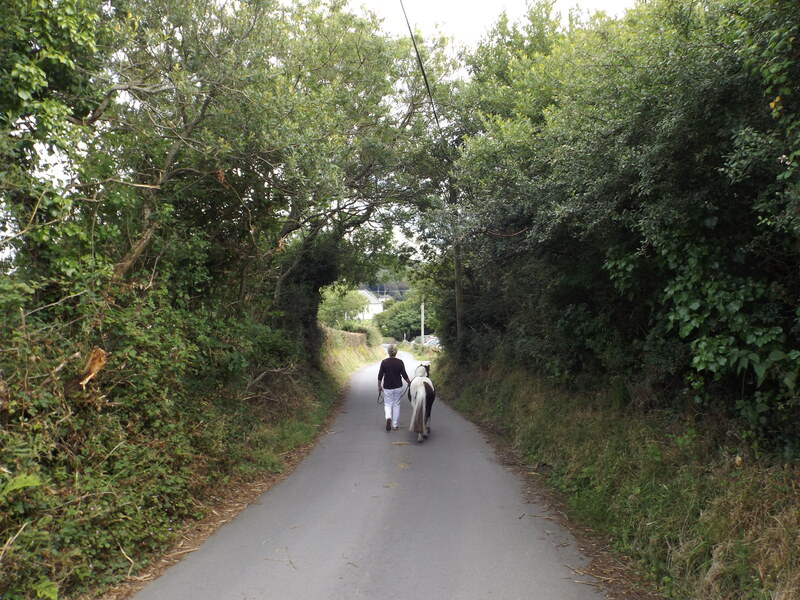 Then we walked home. Weddings are my new favourite thing! 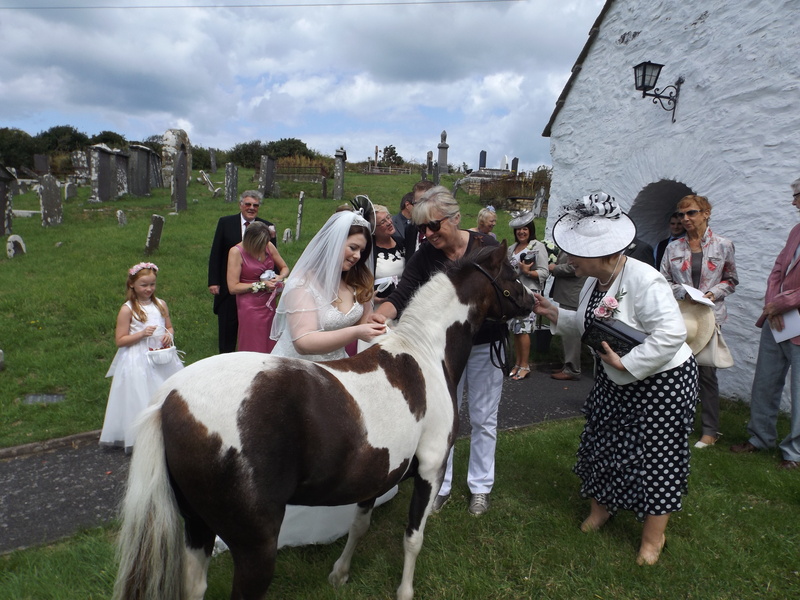 This entry was posted in Life and Times and tagged Lucky horse shoe, Penbryn Church, Weddings on August 1, 2015 by sallylearoyd.